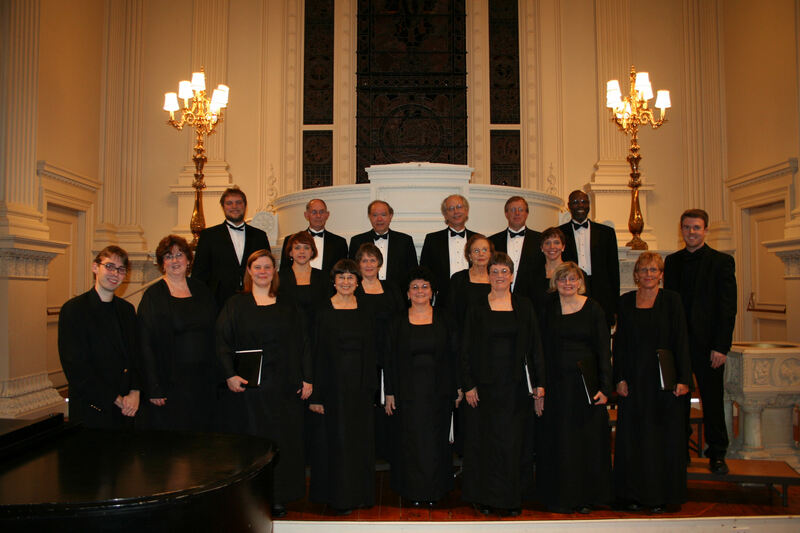 The Hartford Chorale Chamber Singers, under the music direction of Colin Britt, is pleased to announce its upcoming program, European Choral Gems, featuring Brahms’ Liebeslieder Waltzes (op. 52) and music by Duruflé, Fauré, Finzi, Palestrina, and Vaughan Williams. The concert features Douglas-Jayd Burn and Fonyue Donn on piano. The program will be presented on Friday, May 11 at 7:30 pm at Marquand Chapel, 409 Prospect St, New Haven, and on Friday, May 18 at 7:30pm at Center Church, 60 Gold Street, Hartford. The New Haven performance is free; in Hartford, tickets are $15 general admission, seniors/students $10 and will be available at the door. A review in the Journal Inquirer described a recent Hartford Chorale Chamber Singers performance: “…An extraordinary thing happened. A concert that became a meeting of hearts and minds…all was notable, overdue, and admirable…the singing was rousing.” The Hartford Chorale Chamber Singers are all members of the Hartford Chorale (Richard Coffey, Music Director), selected through audition, and committed to reaching beyond the setting of the traditional concert hall to entertain, educate and inspire a variety of new audiences. Through high quality choral performances, the Chamber Singers also enhance and extend the community outreach and education mission of the Hartford Chorale itself. For more information, contact the Hartford Chorale office at 860-547-1982 or e-mail us at the.hartford.chorale@onecommail.com. « Thanks to Voce and the Notre Dame H.S. Band and Chorus!